Build fine motor skills by developing the thumb-forefinger pincer grasp by using Jumbo Tweezers with manipulatives or other small objects. Features ergonomic depressions to guide proper grip. 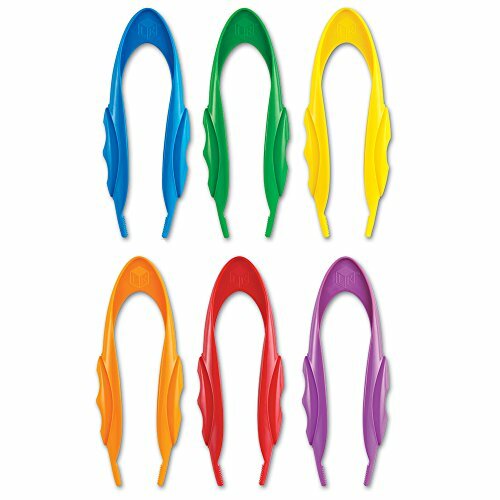 12 tweezers come in 6 colors and include resealable buckets for easy storage.